Still no word from OCR and the school year had come to a close. My son returned home and went off to summer school but with an extra five hours a day minus bus time to spend and was back in his own neighborhood. I signed him up for the local sports programs like Little League baseball and Optimist basketball. (Home Team Online) My son wasn’t the star athlete on the team but he wore the same uniform and if he wasn’t playing he was still part of the team. The day of the conference finally arrived and off to Miami we went for our first disability conference. We still hadn’t addressed my son’s placement back in his neighborhood school yet through the IEP process. As far as the district was concerned his placement continued to be in the segregated school, and that was where he would go in the fall. I knew that just wasn’t going to happen. I immediately felt at home with all attending this conference and for the first time in a long time felt unconditionally accepted. I now had become part of a larger grassroots parent movement. I attended as many sessions as I could squeeze into the day still feeling desperate to soak up as much of this valuable free information as possible. 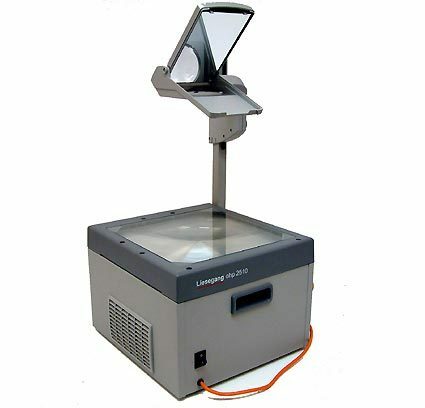 The sessions varied but all were being taught by parents to other parents using transparencies and overhead projectors. One of my first workshops there was True Colors. (True Colors) I mention it here because it went on to become a standard workshop offered at conferences for many years to come. It still brings forth a groan when I think about it. I attended a rights workshop (It’s Those Wonderful Rights) and an IEP workshop (IEP Jeopardy). I went to the communication workshop (Getting Over the Wall) as well. There were tables of printed materials and pamphlets for many disability resources and groups, both local and national. I learned about a place called the PEAK parent center, (PEAK Parent Center) and found wonderful material on full inclusion, (Inclusion at School), the Florida Department of Education Clearing house, (FLDOE) and a national clearinghouse called the National Information Center for Handicapped Children and Youth (NICHCY). I stuffed my conference bag as full as I could get it with this information to bring back to share with as many parents as I could upon our return home. I was totally rejuvenated by this experience and secure in the knowledge that whatever happened from this point forward I would never need to feel alone again. I spoke with the director of the parent center about the part time job and was given a time to come into their office, located in Tampa, to go through the hiring process to become a resource for parents in Southwest Florida covering a five county area. This began my career with the Parent Training and Information Center (PTI) in Florida. I was given a three ring binder with some phone numbers and resources to share with parents when they called then returned home to serve them and resume my other duties as stay at home dad. Back then a state of the art computer was an IBM 186 using Dos as an operating system. (Wikipedia Explains DOS) Information was stored on floppy discs! Connecting to the server was done with a dial up connection and it took several minutes to download a picture. We had established phone and fax trees as a way to disseminate information to other parents regarding critical events impacting the disability community that required participation to act upon. My neighbor was a computer whiz and told me I should buy a better computer and signup for this thing called the internet. This new computer had a thing called Windows 95 installed on it. My neighbor became my computer guru, walking me through the use of this new tool and constantly saving me from the blue screen of death when my computer crashed. I will forever be grateful to Mr. Walker for all those years of help and guidance. I became a man possessed with the instant gratification of information at my fingertips 24 hours a day, seven days a week and a way to share it instantly – called email. This entry was posted in Advocacy, Deafness, Disability, Emotion, IEPs, Inclusion, OCR Complaint, Parent Involvement, Public School, Special Education and tagged Advocacy, Deafness, disability, Emotion, father to father, florida, hearing impairment, IEPs, Inclusion, Office of Civil Rights Complaint, parent advocacy, parent involvement, Public School, special education, State Complaint. Bookmark the permalink.